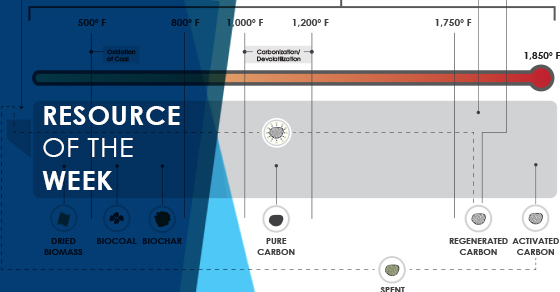 This week’s highlighted resource is an infographic on producing activated carbon and other products from biomass. Producing materials such as biochar, activated carbon, and biocoal from biomass sources continues to be a growing trend. 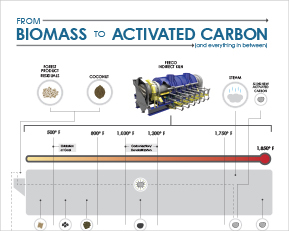 This infographic gives an overview on all of the products that can be created from biomass, as well as how those products are made.